On September 15, 2016, at approximately 6:00 a.m., an elderly male subject left his residence on foot in the area of 17th St. and Yorba North in the City of Tustin. The subject suffers from Alzheimer’s and has difficulty hearing. He has not been seen since walking away. Numerous officers have been on scene and actively searching for him since the original call came in today at 8:30 a.m. The missing person is George Maeda. 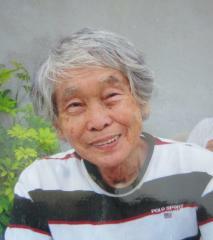 He is Asian, 89 years old, 5’4, 124 lbs., with medium length grey hair. He was last seen wearing an unknown color striped shirt and blue jeans. We request anyone who sees him or knows where he is to immediately call the Tustin Police Department at 714-573-3225. We request anyone who sees him or knows where he is to immediately call the Tustin Police Department at (714) 573-3325.